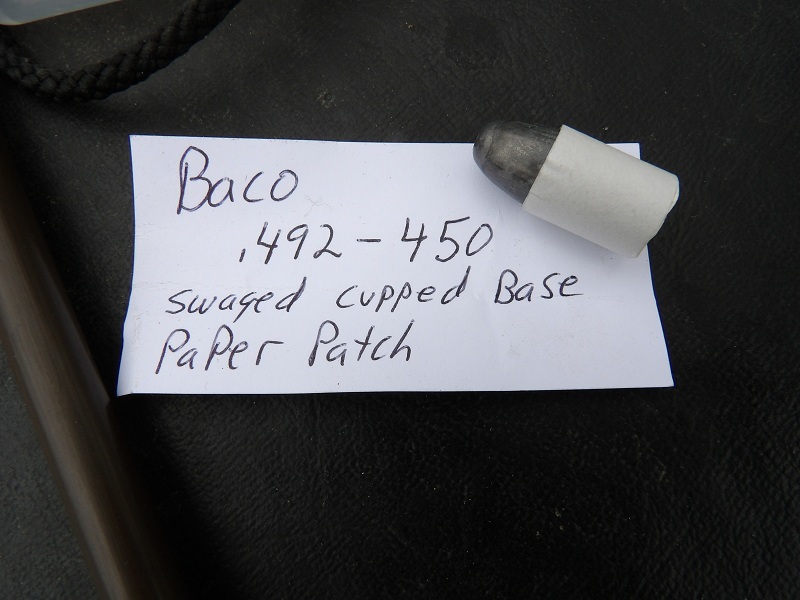 This time, 395gr Lyman Plains Bullet, Paper Patched. 70gr Pyrodex P, Lubed Wad from 50 yards. These loaded way to easily and after a couple shots, I decided that I may have better accuracy without swabbing to tighten the bullet up a little. Accuracy without swabbing I am extremely happy with! Make'em Throw Up, 450gr Paper Patched bullet. Again, loaded super easy to the point where I would not be able to hunt with them. 70gr Pyrodex P was a very nice comfortable shooting load. 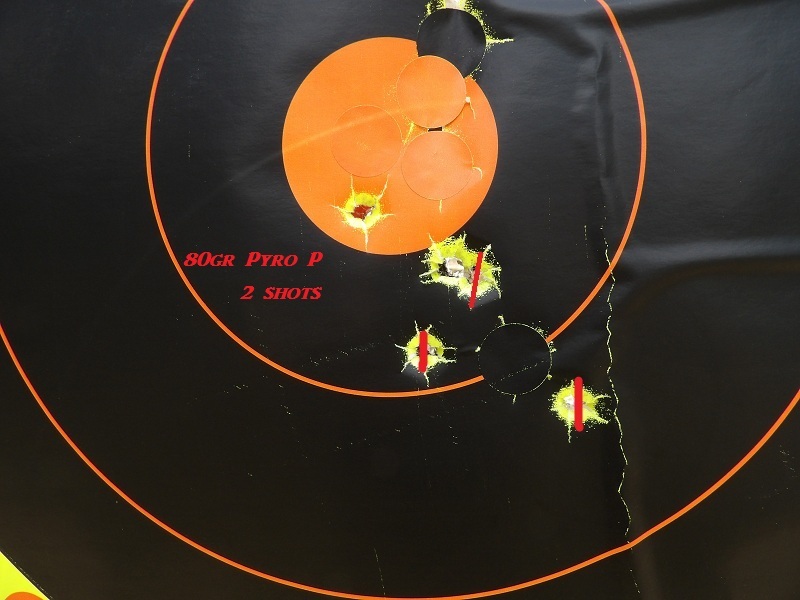 After 3 shots ( these are marked with a RED slash ) I upped it to 80gr Pyrodex P and shot the last 2 bullets. 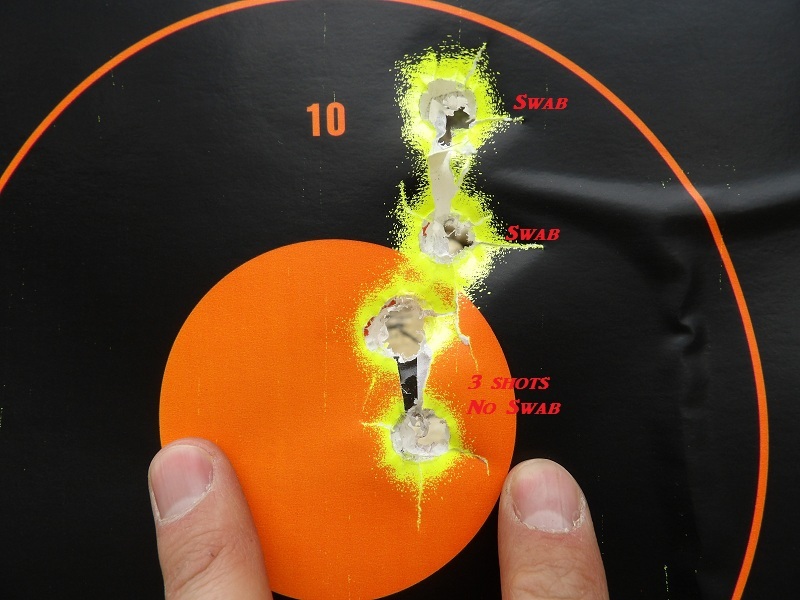 It was a little more recoil, nothing hard on my neck, but the tacking on top of the wrist really grips your thumb and so, that was about the only pain I felt with this bullet/load combo. Bullet hole in bulls eye was a fouler load with a 12 O clock hold. All other shots were a 6 O clock hold. Accuracy seemed like it was actually improving. I'd sure in hell hate to try 90gr Pyrodex P! I'd have to put a leather glove on. Interesting !!!!! Do yall have to shoot conicals only for hunting out west now ? 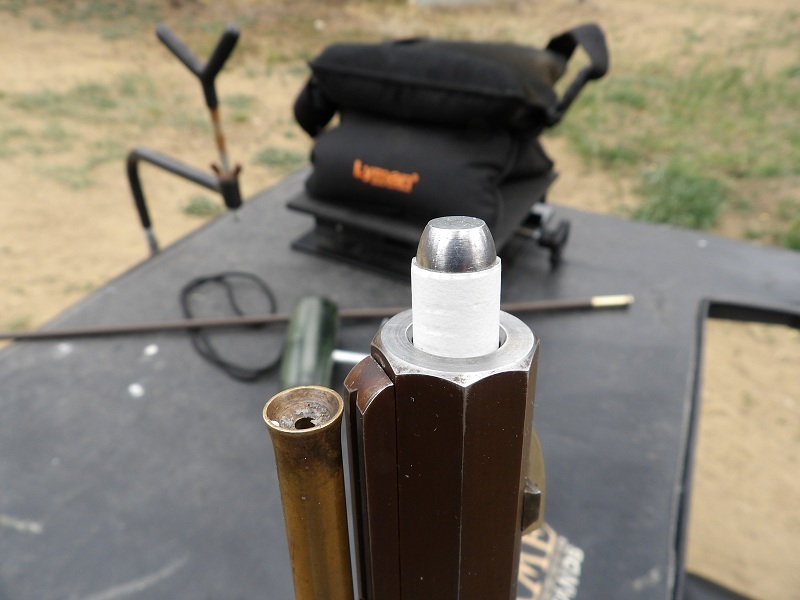 For muzzleloading season and a .50cal its conical only now for elk and moose. You can also tighten those PP bullets up by horsing around with your paper thickness. I'm with you on wanting a tight fit to avoid shifts during carry, but I don't want to be dependent on a fouled bore to achieve it.